How’d you like today’s title? Sound appealing? Yeah…it’s not to me either, but there is a health benefit to them. Several years ago Hubby and I watched a movie called A Beautiful Truth. It is one of the movies that blasts the cancer epidemic wide open and it’s done by a teenager! I had heard of vitamin B-17 before for cancer treatment, even Rife treatment, but the Gerson therapy that was discussed in this movie, I had never heard of. Dr Max Gerson was a brilliant man, and of course as in most amazing discoveries for diseases (especially those that don’t cost much) his ideas were swept under the rug and he was dubbed a “quack” by most doctors and organizations. He suggested that a diet that is mostly plant-based along with coffee enema could cure diseases. This suggestion to the normal medical community is outlandish and crazy, but the problem with Dr Gerson’s therapy is the fact that you can’t make money on fruit and vegetable juices and coffee enema. What would happen if cancer was cured? We wouldn’t be asked for money at the grocery store check out, there would be no more “race for the cure’s,” or no more cancer society. The doctor who’s only job is “treating” cancer would no longer be needed, and what about the multi millions of dollars spent on the new cancer centers around the country? The problem is, they don’t really WANT to cure cancer, why would they? Pharmaceutical companies would be out millions of dollars that people pay out for the cancer drugs, with the radiation, the actual treatments are more likely to kill a person than the cancer themselves. I’m not callous. I have great sadness for people dealing with cancer. I, myself, have been changed by cancer. My grandma died when I was 13 due to complications from her ovarian cancer. I currently have PCOS (polycystic ovarian syndrome) and you don’t think it scares me to death that my Grandma had ovarian cancer!? My “second mom” died last year from complications from her cancer. She was though to have asthma most of my growing up period, then turned out it was actually cancer. She and my mom were best friends and both single mom’s. Caren lived up the street from us and took care of foster kids, so she was home while my mom was at work. She became a mom to my brother and I, and would watch us after school until my mom would get home from work. So I’m not one of those people who speaks out against something and has never experienced the pain associated with it. Here’s the thing, God thought of EVERYTHING. He knew exactly what would happen to us, he knew we would be faced with things like this, he knew we would be depressed and gave us herbs like St John’s Wart to help us. He knew we would be faced with cancer and gave us things to ward off the cancer. He gave us fresh fruits and vegetables, he created them to have the nutrients we needed. Ultimately, God created us as vegetarians! Genesis 1:29-30 “And God said, Behold, I have given you every herb bearing seed, which is upon the face of all the earth, and every tree, in the which is the fruit of a tree yielding seed; to you it shall be for meat. And to every beast of the earth, and to every fowl of the air, and to every thing that creepeth upon the earth, wherein there is life, I have given every green herb for meat: and it was so.” It wasn’t until sin came into the picture that we were told we can eat meat now. Sin brought death, things then died where before they didn’t, so now we can eat meat. I’ve tried the vegetarian thing, I was very bad at it. The only reason that statement is true is because I didn’t eat well, I filled up on carbs and sweets rather than healthy foods. In the movie A Beautiful Truth, they talk about the mercury in our mouth from silver dental fillings. I am proud to say I just had my last silver filling removed! They also talk about coffee enema. I wrote down the protocol, and Hubby was determined to try it. Here’s how it goes: 1 Quart of water to 3 Tbsp ORGANIC coffee. Simmer on the stove for 15 minutes, strain off the coffee through a coffee filter and allow to cool. Once cool add enough water back to make it a quart. Fill an enema bag with half the coffee (or a pint). 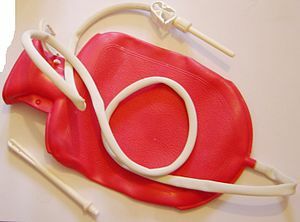 Enema bags can be purchased at Walgreens, Rite Aid etc. The fun part is next! Then you put that said half coffee (a pint) in your bum. Yep real fun stuff here. Once it’s inside you lay on your right side with your knees drawn up, sort of like a chair but laying on your right side. We fill up a tub of warm water, it gets cold laying in the bathroom, so we lay in a tub of water. You lay like that for 12-15 minutes, then expel, which is another “fun” part. Hubby was the first one to try it. He did it and raved about it. But we made some mistakes, let me share them with you as uncomfortable as they were, they might help you not make the same mistakes. The biggest mistake was we put the entire quart of coffee in, rather than splitting it half and half. Hubby did just fine. Me on the other hand… it was BAD NEWS JOE BROWN! I’m smaller than Hubby, so what ended up happening was I think it pushed up too far and into my stomach. Gross. When it was time to “expel” not much came out… then the stomach ache started and then I was up all night because of all the coffee. It was HORRIBLE!! I have no idea how he talked me into doing it again, but he did. The next time we split the quart. It was easier but the process is NEVER fun. It is uncomfortable, you cramp, you feel like you can’t hold it in, these are all very normal. Even the expelling process is not fun, although it feels great to let it all go, what comes out of you might be surprising, and how much will also be a surprise. For complete disclosure and honesty, I must say I’ve probably done this about 5 times. Hubby is much more proactive about it than I am. In fact he just did one last night and reminded me that I need to do another one. So I promised I would do it Saturday morning, what a way to wake up! But it is for health reasons, not for fun. So what’s the point? Well coffee stimulates the bile flow, bile holds a lot of toxins, so when you cause it to flow it will expel the toxins with the coffee. 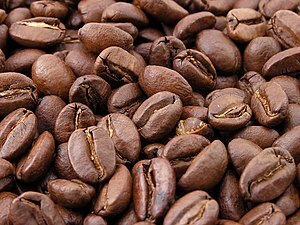 It also increases circulation, as well as increased bowel movements, and coffee contains antioxidants. Hubby says he feels less bloated and his pants fit better after he does it. And I must say that your husband ROCKS! I don’t know many husbands that would watch a health documentary with their wife, let alone try this. And then help remind and motivate you… Go husband! Ok, now where do you buy the equipment?